If you are an event organiser and you want to wow your event delegates, there is no better way to do it than with an inspirational performance by our dancers who demonstrate a focus on ability, not disability! Book a powerful, professional DanceSyndrome performance for your public or private event and inspire your audience to believe that people need not be defined by their disability. 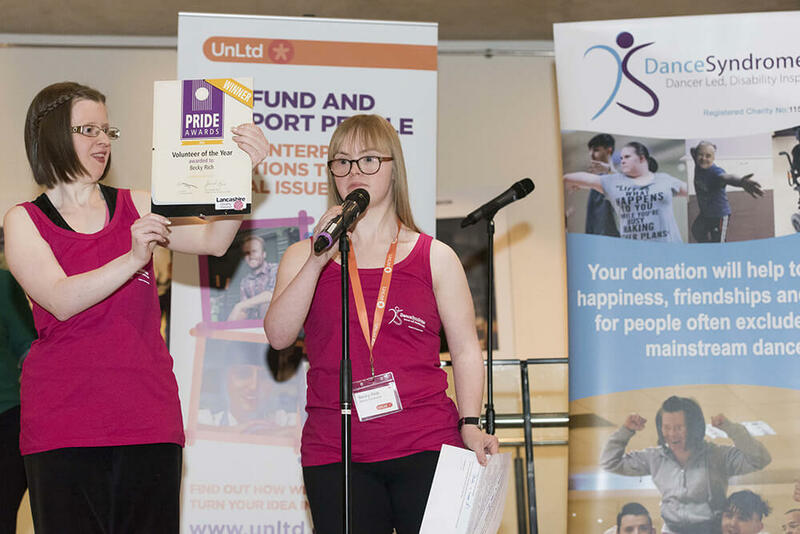 DanceSyndrome can perform across the UK at community showcases, festivals, fundraising events, national conferences, AGMs, universities and schools. – Full company contemporary dance performance pieces featuring 15 dancers with and without disabilities performing their own choreography. Pieces can range from 10 minutes to 45 minutes. 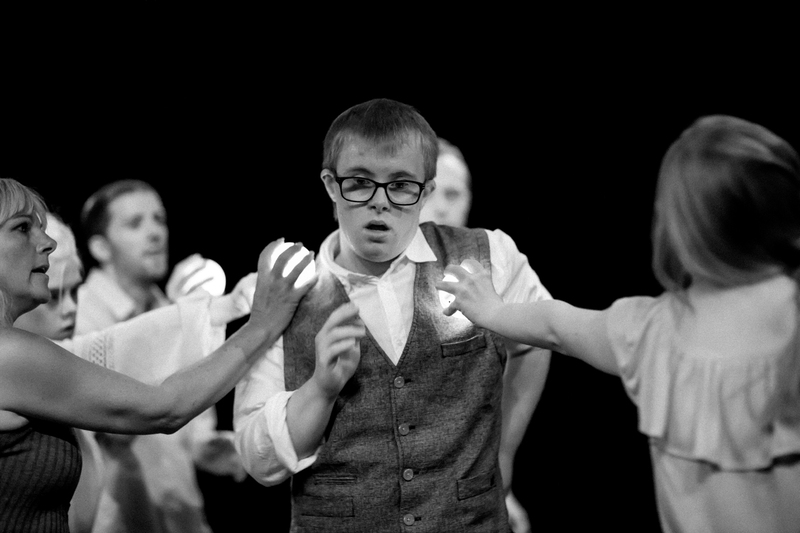 DanceSyndrome can provide guest speakers to share their inspiring stories about inclusion. As leaders themselves, our performers bring a fresh perspective to the meaning of inclusion, with real world examples and stories about how making people feel valued has a positive impact at all levels of an organisation. Their talks are inspiring to audiences at local and national events. They are perfect for companies and not for profit organisations looking to create valuable and memorable events that are thought provoking for attendees. They truly demonstrate how we can all walk the walk, not just talk the talk when it comes to diversity by creating inspiring leaders through inclusion. Speeches can be combined with short dance performances to make the event even more memorable.